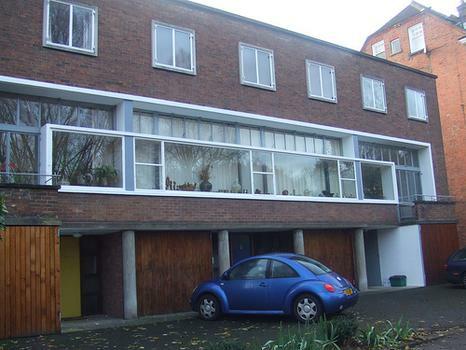 2 Willow Road, designed by Erno Goldfinger in 1939 on Georgian principles, is regarded as an icon of modernist architecture. 2 Willow Road, designed by Erno Goldfinger in 1939 on Georgian principles, is regarded as an icon of modernist architecture. The family home has on display original works by Henry Moore and Max Ernst, among others. Local lore has it that Hampstead resident of that time - Ian Fleming objected so strongly to Goldfinger's modernist design, that he named his famous Bond villain after him.